You will also learn about the most recommended plugins and get many useful tips, tricks, and best practices. Most tech books focus on technique, with examples that are difficult to relate to. Christian Krammer really gets it. The Sketch Handbook is instantly useful. I’ve been doing user experience for 19 years and this book gave me a whole new (and better) workflow. My highest recommendations. 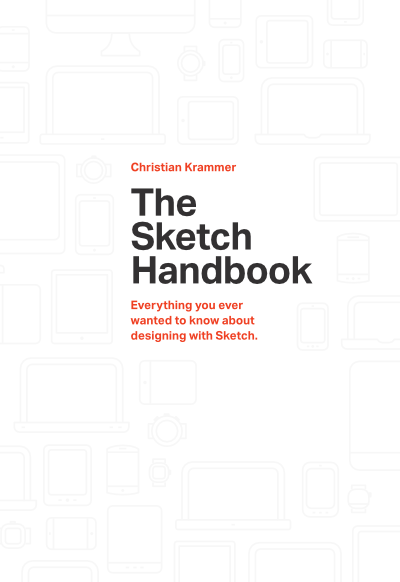 Christian Krammer is a web designer and Sketch app pro. He has run the site sketchtips.info for almost three years and has published countless tips and tricks about Sketch on that site. Christian also released two Sketch courses on Skillshare. When he’s not fiddling around with Sketch, he loves to spend time with his family or watch a good movie. Follow him on Twitter for some great Sketch tips.